So, did all Atari 400 owners just sit back and accept this. No! They didn't. Some tricked out their Atari 400s with real keyboards, additional memory, and cool things like bright red reset buttons. Close-up of the membrane keyboard. Look how flat it is. Yuk! Not very nice to use. 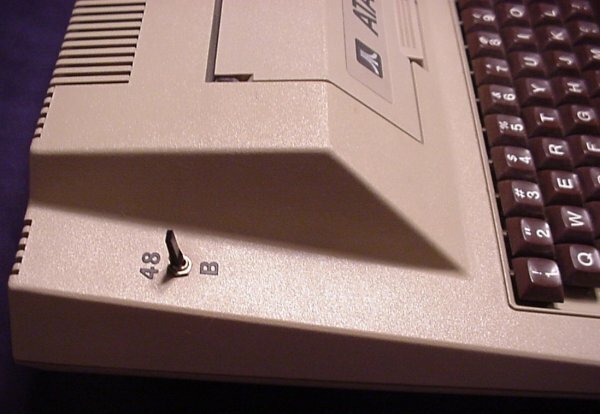 Empty cartridge slot. 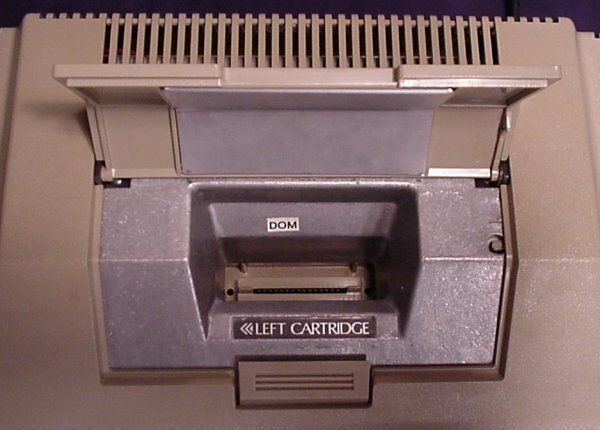 Note that it's the "Left Cartridge" slot. It seems silly, considering that it's the only slot. But it shares carts with the 800. The 800 has two and some cartridges have to be in the left slot. So it does make some sense to label it this way. 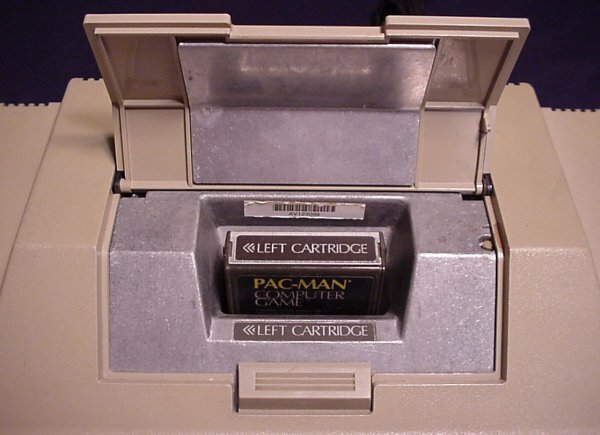 Cartridge slot filled with a Pacman cartridge. Notice how the cart itself has the "Left Cartridge" label. It would be pretty confusing if the 400's single slot wasn't labelled in this way. 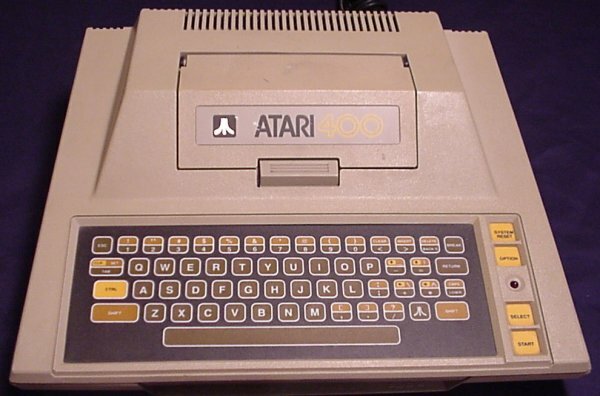 Here's the tricked-out Atari 400. Look at that nice real keyboard. Memory toggle switch. This switch toggles the additional 48K of RAM tucked away inside. Reset button. And, on the other side, a shiny red reset button. 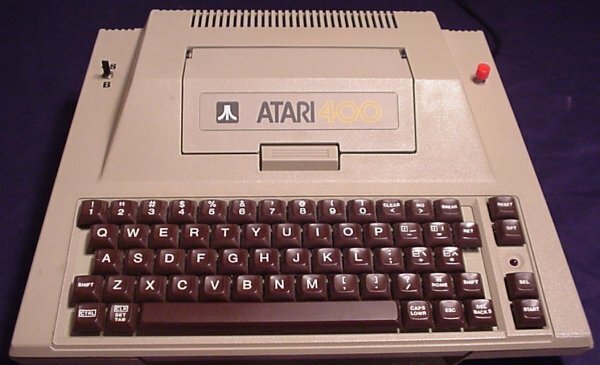 Click here to view all comments for the Atari 400 and to leave your own.